Organicveda presents to you the Moringa Potent capsules, concocted from the healthiest and richest sources of nutrition available on the planet – the Moringa plant and the Indian Gooseberry (Amla). 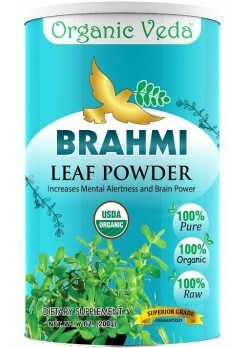 This vitalizing blend of nourishment can be taken by persons of all ages, be it children, adults or seniors. Our capsules are produced with the perfect balance of the finest quality ingredients, achieving an end-product which leaves the consumer invigorated and rejuvenated. 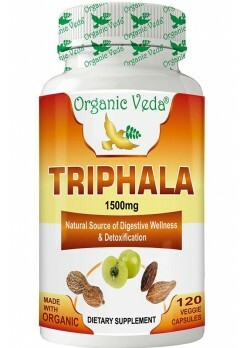 The potent capsules consists of Moringa Oleifera, Amla Fruit Powder (Indian gooseberry) and Black Pepper, This is a wonderful supplement that packs a host of vitamins, minerals, nutrients, anti-oxidants, amino acids, protein, iron, calcium, magnesium, potassium, fiber, phyto-nutrients, etc. Piperine in black pepper is a good way to increase nutrient absorption after consuming. Consumption of our Moringa Potent capsules, revivifies your body, enabling you to unleash your true potential and experience healthy living like never before. Organicveda prefers Potent Capsules than Pure Moringa leaf Powder Capsules due to high potency. Fortunately, eating a diet rich in antioxidants can help increase your blood antioxidant levels to fight oxidative stress and reduce the risk of health diseases. Amla powder increases skin health and acts as a body coolant, flushes out toxins and acts as an antioxidant. Organic Veda’s Moringa Oleifera Potent capsules are 100% genuine and natural, and contain no artificial ingredients. Additionally, We do have Moringa Potent 300 Veg Capsules. To View, please click here for Moringa Potent 300 veg Capsules. 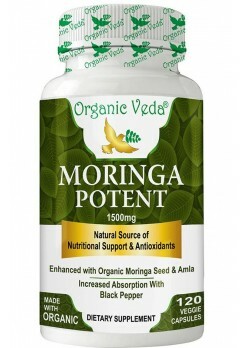 Buy your Moringa Potent Veg Capsules today! We currently have no information for moringa potent capsules side effects and Interactions with food or medicines. However, Before using Moringa Capsules, pls consult your healthcare professional.